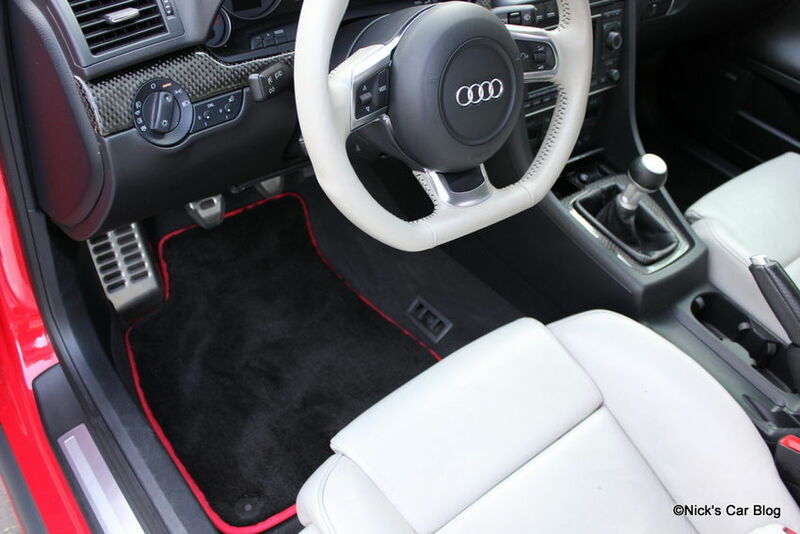 The OEM Floor Mats on my beloved 2006 Audi S4 had seen better days, so when ECS posted about their newly released Schwaben Floor Mats with red piping, I thought I’d give it a shot. 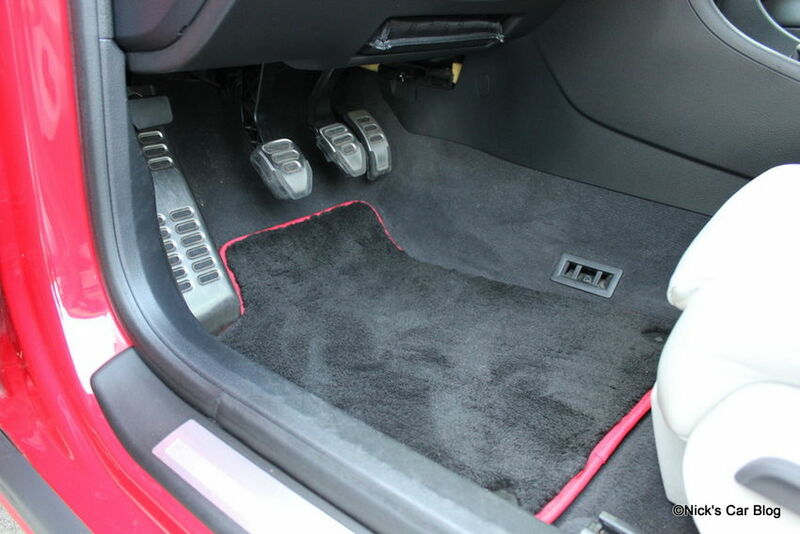 At just $45 for an entire set, it was a lot cheaper then new OEM floor mats (around $200) and I thought the red accents might be a nice touch (they also come in all black, if you’d prefer). Although shipping was fairly steep at about $15 (about 33% of the part itself! ), it was still a very good deal all said and done. They snap into place reusing the OEM grommets and the fitment is very OEM-like. After a few months of use, they look great in the car and definitely make the carpet look a little nicer. The red piping matches up nicely to my brilliant red exterior, and as far as floor mats go they do everything you’d expect or want them to do. They’re not all-season or rubber floor mats like some prefer, but it hardly ever rains in Southern California and I prefer the carpet look so I went this route instead. Overall, a great purchase that goes along well with my OEM+ interior theme. Be sure to check them out; or if they’re not your style but your original floor mats are looking tired, start shopping around as new floor mats definitely can definitely make the interior look a little newer and nicer once installed.